The multi-award winning Cobalt® 9970-QS 3G/HD/SD-SDI/CVBS Expandable Multiviewer with Advanced On-Screen Graphics integrates five discrete 3G/HD/SD-SDI or CVBS inputs onto a single 3G/HD/SD-SDI quint-split output, with each input image being flexibly inserted into the output image area. Any template layout or custom layout changes can be done "on-the-fly" in real time, without tedious setup compiler or layout programs like many other split/multiviewer products. While the 9970-QS offers unprecedented flexibility, it also offers an unprecedented ease of use. Fully-flexible layouts using any of several one-button template presets or fully customizable layouts using easy to use sizing/positioning custom controls. Custom layouts can be saved to user presets. Multiple 9970-QS cards can be cascaded to provide splits greater than the base quint-split. The 9970-QS PIP5 input can be used in a cascaded chain of 9970-QS cards that provides multiviewer layouts of up to 8x8 (64:1). The QuickSet grid definer precisely and easily sets up a multiviewer grid where columns and rows of each of the cards PIPs are arranged to work together in a cascaded aggregate arrangement. Low-latency processing allows multiple 9970-QS cards to be cascaded without significant accumulated delays within the chain. A master output up-down-cross convert scaler provides scale-to HD or 3G SDI formats for the combined multiviewer output, which also includes an HDMI output (with audio embedding) to directly feed a wall monitor. The openGear® card-based form factor of the 9970-QS provides scalable, easily integrated multi-image functions for the 20-slot frame form factor with easy to use DashBoard™ remote control. Asynchronous inputs can be directly accommodated – each PiP input is provided its own independent timing alignment controls with lock to reference. 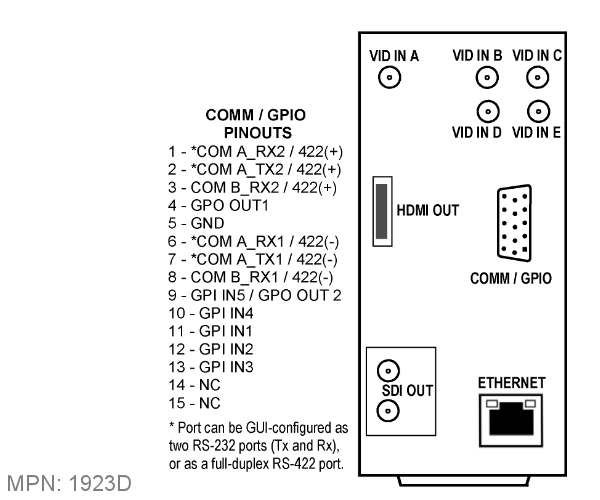 Full user DashBoard™ or Remote Control Panel remote control allows full status and control access locally or across a standard Ethernet network. 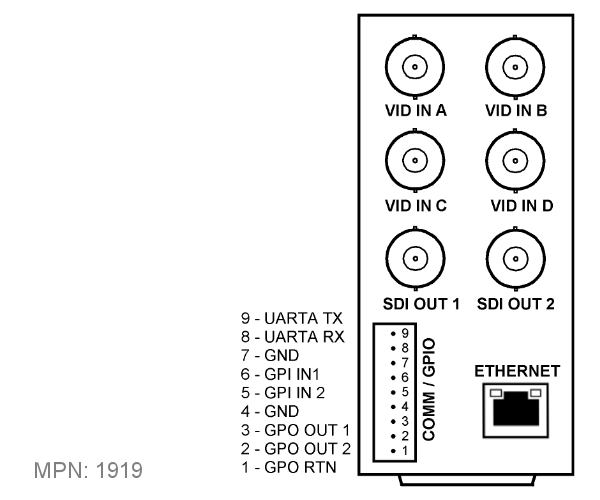 Tally can be communicated by GPI, Ethernet, or serial interfaces. The 9970-QS is also available in stand-alone form factor BBG-1070-QS. Cascading Mode and QuickSet grid definer offers easy to set up scalable multiviewer functions (up to 64:1) using multiple cascaded (daisy-chained) 9970-QS cards. Two cards can provide an 8:1 multiviewer, with up to 16 cards providing a 64:1 multiviewer. Single card provides up to 5:1 split, with up to ten 5:1 splits per frame. DashBoard Output Preview function provides display of regularly-sampled screen captures in the card DashBoard page. Provides remote-access program video content/presence and multiviewer layout confidence monitoring via the card’s DashBoard display without needing collocation with the card or its input or output video signals. I/O Latency: Basic PiP Input/Output < 1.5 frames (max). Cascade latency consists of basic PiP I/O latency plus < 2 line added delay. Per-PiP dual tally indicators. 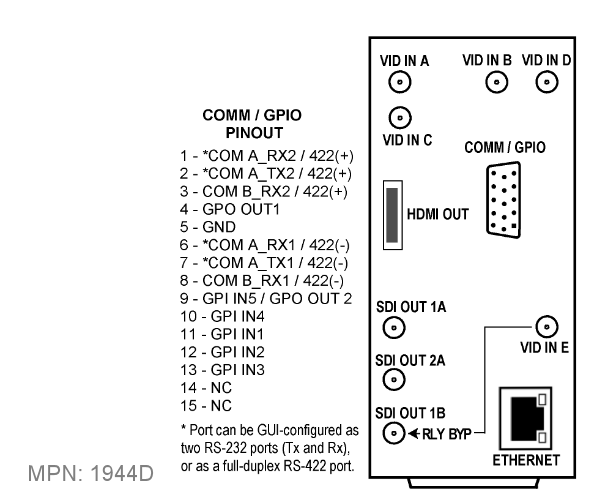 GPI, Ethernet, serial per-PiP control. Per-PiP tally lamp position and sizing controls. 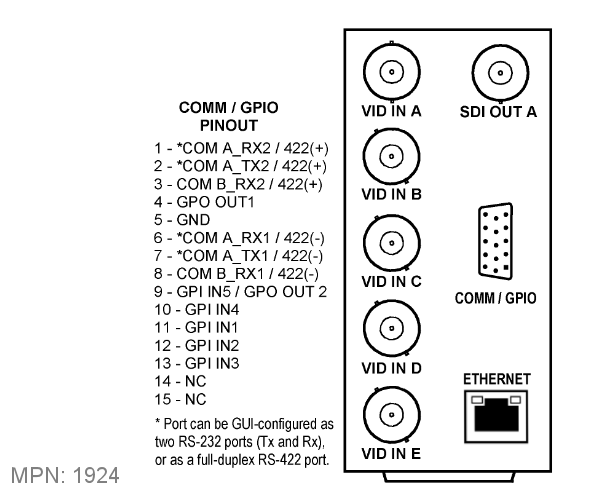 Note: Cascade Config consolidated control feature requires Rear I/O Module with Ethernet connector (e.g., RM20-9970-B) for each card within the cascade chain (or alternately a frame that provides per-card dedicated Ethernet connectivity within the frame). You are currently requesting a quote for 9970-QS.